Are you all set to make a lasting impact with the divine royalty with Exclusive Luxury Pret Wear? This collection is a treat for the divas who prefer festive outfits. Finest craftsmanship and exquisite embroidery techniques of exclusive come together to create a sensational and luxurious collection. Embellished with fine thread work, this gem collection is bound to add that regal element to your wardrobe. 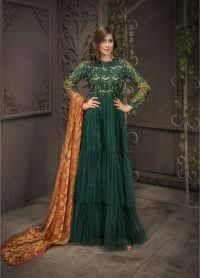 Get yourself into a festive mode with these designs that hit all the right notes.Whether you want to rock the wedding festivities this season, these luxury Pret wear will set you apart from the entire crowd. Stressed about a new dress for your upcoming event? Exclusive helps you decide your outfits this season. Your festive wardrobe is not complete without pieces that celebrate the festivity of the season and these designs surely one of those. Fine thread work, peerless hand embroidery patterns and elegant stitching will turn you into a timelessly classy queen. Exclusive Pret wear is purely a luxurious indulgence in undisguised femininity. All the classy colors infused into this collection make it a perfect choice for this festive season. Impeccable pearl detailing, intricate handwork and versatile cuts are what make this the perfect Pret wear for you. 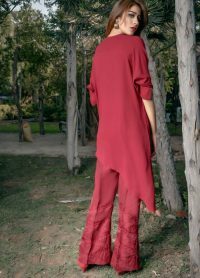 Exclusive fuses tradition with innovation bringing forward high fashion designs and reinventing Pret Wear in Pakistan at your favorite fashion destination. 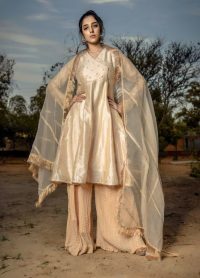 Pret Wear in Pakistan is known for its luxurious, contemporary style that fuses traditional Pakistani colors, fabrics and embroidery, This collection is s truly effervescent which is perfect for every occasion. 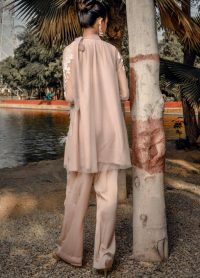 With this collection, exclusive is creating a style that is both rich in Pakistani aesthetics and modern sophistication. The result of this collection is an elegant, feminine line with classic and contemporary silhouettes paired with beautiful embroidery without any compromise in quality. Let these classy and luxurious ensembles be the coolest addition to your festive wardrobe. 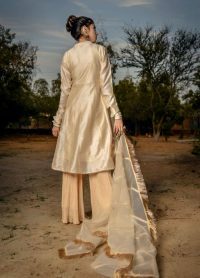 The vibrant designs together with the rich embroidered will make sure you are radiating the festive vibes while you strut off with style in embroidered bell bottoms. Experimenting the style with ultimate comfort on the rich velvet fabric to curate the finest dress that is sure to win your heart. These designs will allow you to express the perfect balance between glamour and grace. Time to celebrate festivities with a touch of style bringing forward happiness.Shop our luxury pret collection that is a union of royal hues, intricate embroideries and rich embellishment for richer looks this festive season. This collection is must-have for every Pakistani women who plan to look regal and irresistible while keeping comfort and style in priority. Don’t miss out collection , as it features the master ensembles adorned with finest details, artistic embellishments and finesse fabric. Allude your festive mood with this “Luxury Wear” and flaunt the stunning designs on every occasion.